Concrete is a great versatile material. In its most basic form, concrete is made from cement, aggregate, sand, and water. Known for its durability, and long lifespan concrete requires less maintenance than asphalt. Although concrete is used in everything from roads, parking lots sidewalks, and floors, it is not completely resistant to damage or needing repair. 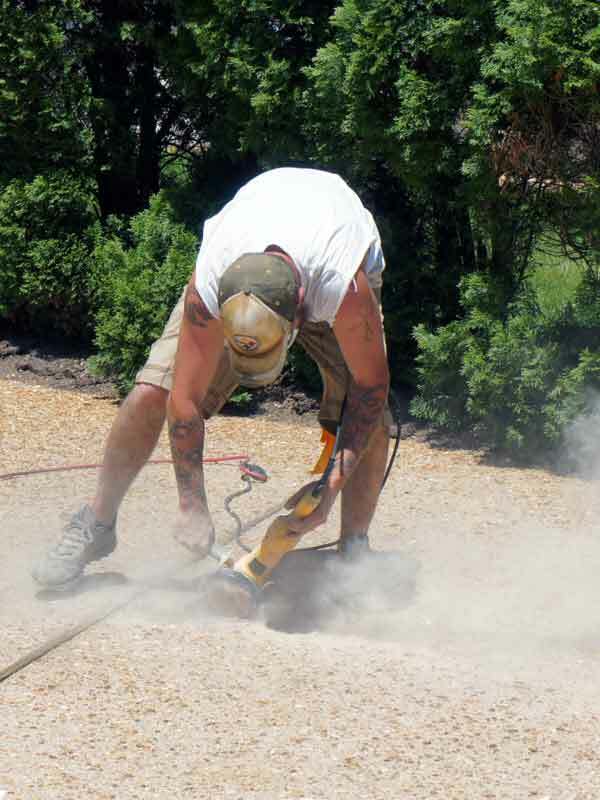 CCR offers concrete services in Williamsburg Virginia and the surrounding area. Call or Email today! Do you have uneven concrete slabs? Is it a trip hazard? Perhaps you are afraid it is going to get worse and need replacement? 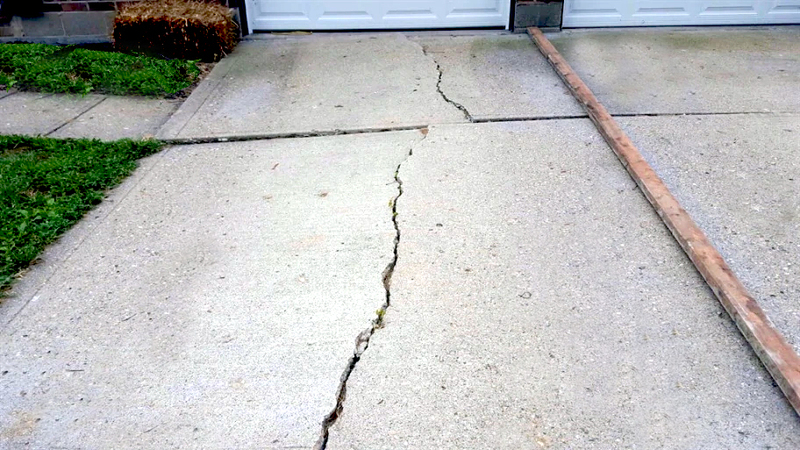 Uneven or sunken concrete can cause you, or visitors to your house, to trip and fall. Not to mention how irritating it can be to have to constantly watch your step or stumble. These hazards can lead to minor, and sometimes, major injury. We are sure you do not want this for yourself, your family or your friends that come to visit. Let’s not even get into possible lawsuits! Here at Concrete Care and Repair we understand the concerns you have as well as the possible confusion on what or how to fix this problem. We also understand how some companies charge outrageous minimum prices to come and fix this issue. 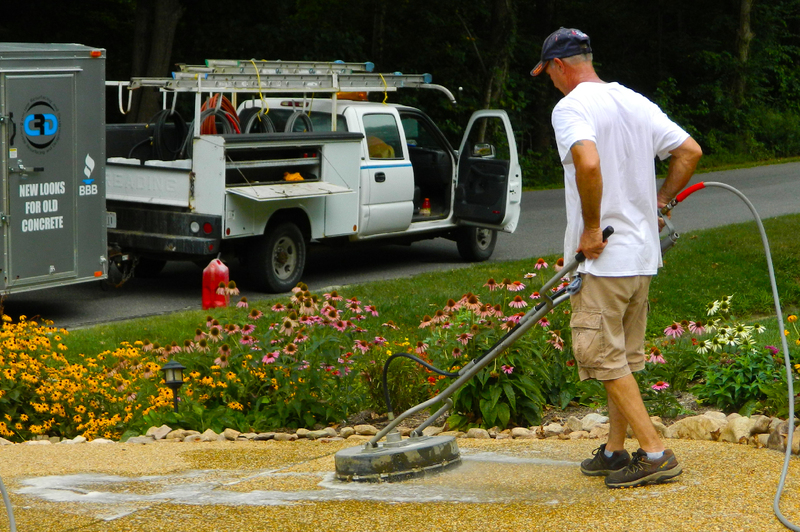 However, though we too have minimums, because we provide so many other driveway repair and maintenance services and we have portable equipment, we are able to offer a minimum price that is much lower than the industry standard. For more information please click below, send an E-mail from this site, or call for a FREE estimate! 757-342-3563 Call or Email today!! When we are finished cleaning your driveway, sidewalk, home and decks, we always rinse off the peripherals like plants, lights, mailboxes etc. Nobody stands behind their work more than we do! 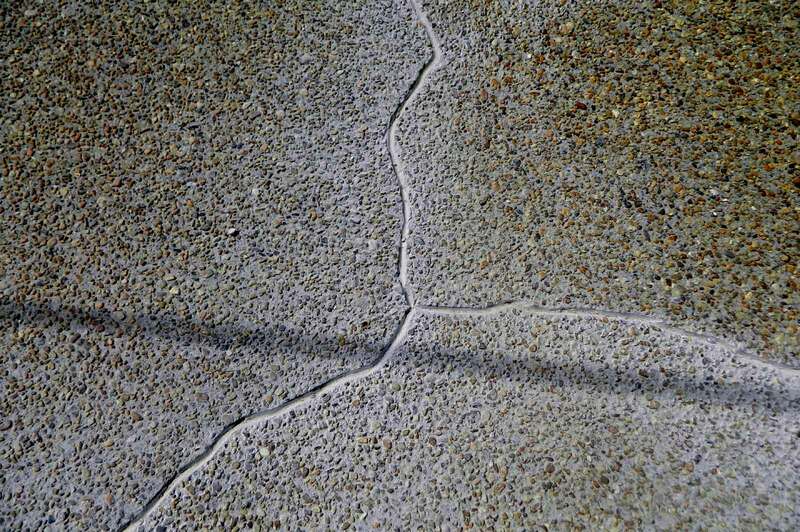 Concrete Care and Repair, serving all your concrete repair needs. Formally known as Total Exterior Cleaning a full service power washing company since 2003. When the recession hit many laid off construction workers who knew how to pull a cord on a power washing machine decided to become power washers themselves. This flooded the market, and while driving down prices seemed good to the consumer, it was actually a downgrade in the quality of power washing. These new businesses were not properly trained nor financially and/or insurance knowledgeable. The integrity of the industry was diminishing. The owner, of then Total Exterior Cleaning, was highly aware of the impact on his chosen profession and sought out a new and better way to provide services for his past and future clients.